The gear that goes into my bag for creative photography could probably fill a suitcase if I included all of it, and in this blog I want to talk about what you might put into your day bag to allow you to take interesting offbeat photos while you’re on a walkabout. In my last blog I wrote about what goes into my bag when I do travel photography, in this blog I’ll attempt to give you an idea of what would go into my bag for creative travel photography. Once again weight is an issue here, but carrying less lenses and more alternative gear is the way to go about this. It’s also worth mentioning that this guide isn’t going to cover the things you might need for still life photography at home, and large items such as a pixelstick won’t be considered. Having a fisheye lens can be great to play with. In this shot I got the bending distortion of the architecture, with a super wide angle feel. In this blog you can find some informative video tutorials that go into a great deal of depth when it comes to taking irregular photos, you can learn about refraction, freezing object or light painting. Let’s imagine you’re about to hit a destination though, and for this I’m going to look at some light paining, refraction, and this use of creative lenses. The camera body. I’m using a 5dmkII though the camera body you use is not overly important as long as it allows you to control your camera settings, and has macro capability. 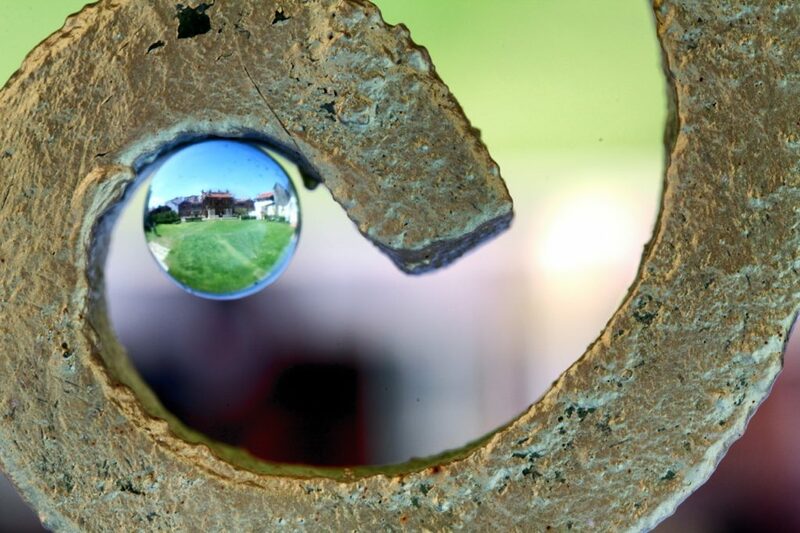 A macro lens. This can either be a dedicated macro lens such as the 100mm f2.8, or you could consider the 70-300mm telephoto lens which also has some macro ability. If you use something like the 100mm you’ll be able to get in closer to your subject, the telephoto though gives a little flexibility to take other shots. This goes in the bag for 3 reasons – It’s great for detail photos, macro photos of things like insects of flowers, and last but by no means least this is the lens I typically use for the refraction photos I take with a crystal ball. Fisheye lens. 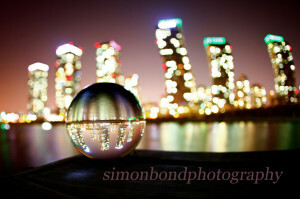 This is kind of the creative version of a wide angle lens, with added distortion! It weighs considerably less, and gives a nice aperture of f2.8! 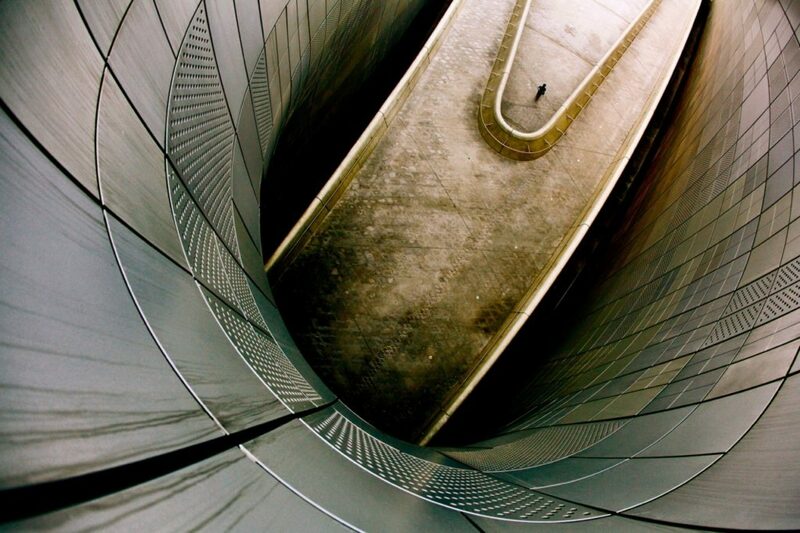 It’s great for architecture photos, and views from the top of tall buildings. I’m using the 15mm prime for my work, in fact it often comes in my travel bag as well because it’s so small and light. 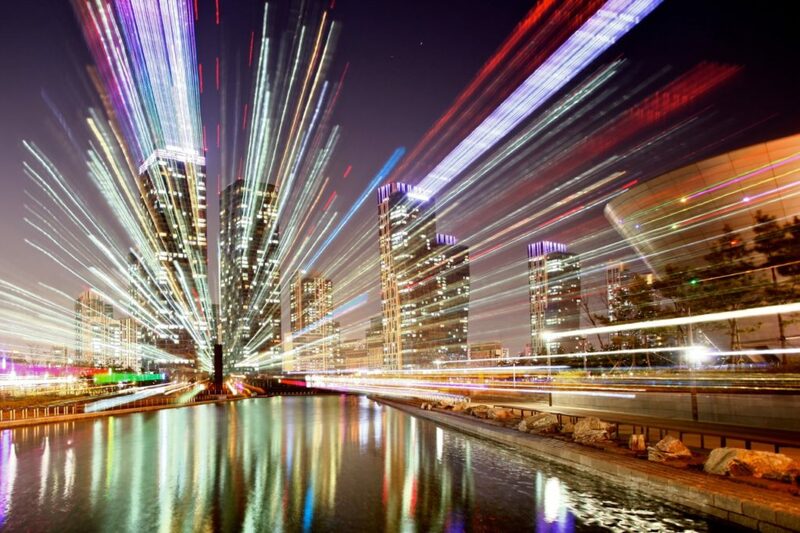 This zoom burst, using a 17-40mm lens, created a dynamic and vibrant image. Learn about zoom burst with my light painting tutorials. Lensbaby. OK so if the fisheye was my creative version of a wide angle, meet the lensbaby… that’s the nifty 50 with added swivel! The lens baby allows you to change the sweet spot for focus away from the centre of the lens. This makes for some interesting bokeh effects, and some unique details or portrait photos. The lens weighs even less than the fisheye, compared to almost any other lens in your camera bag this lens feels like a feather. Zoom lens. If you wish to create a zoom effect with your photo this lens should be in the bag. It should have a fairly wide focal length and be able to zoom in/out quite a lot. Most standard kit lenses will work here, I’m using a 28-105mm zoom lens. Tripod. If you want to do anything with long exposure the tripod is a must, it can also be used for zoom bursts. OK that’s the lens out of the way, and the weight of those lenses is considerably less than the selection made for the travel photography bag. 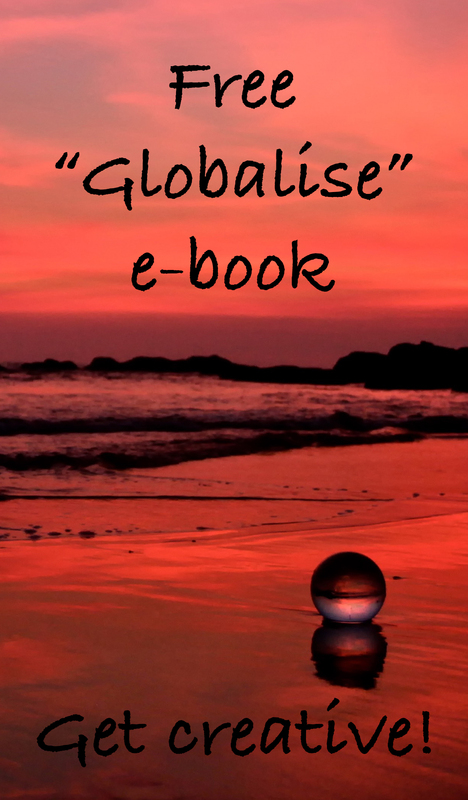 Now that’s good news because the glass ball weighs a tonne…. 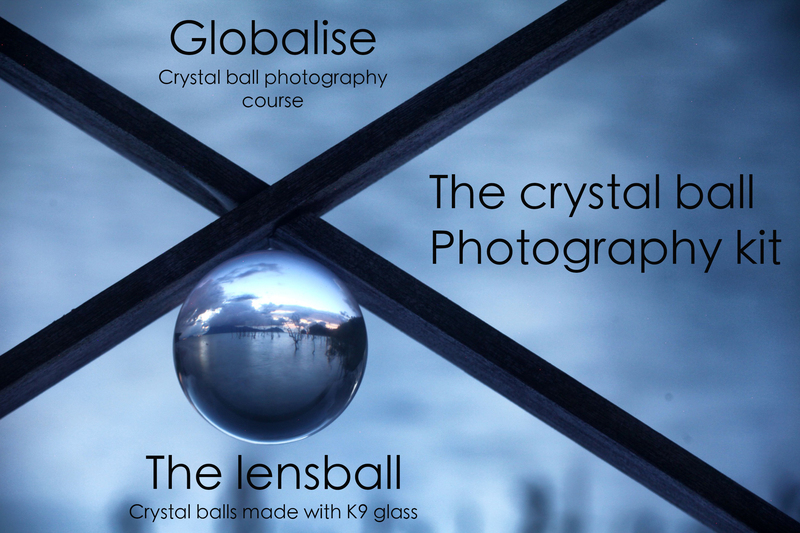 In this photo a macro lens was used in conjunction with a crystal ball. 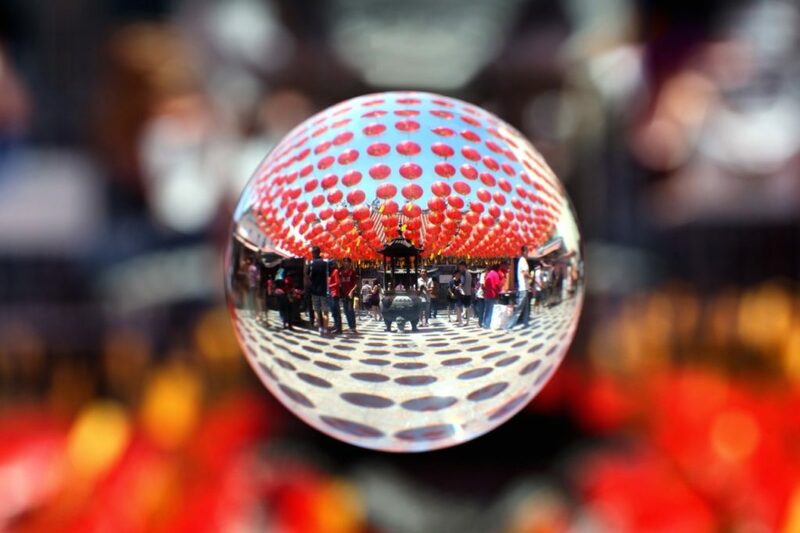 The result is a clear image inside the ball, with the outside blurred. A glass ball. This is used for the refraction photos I take, and could be considered an external lens optic or a prop. As you’ll discover with my course on refraction this is a very versatile piece of camera equipment and can be used to tell the story of a place in most situations. The effect that this produces is not unlike a fisheye lens, and to capture the image inside the ball I usually like to use a macro lens. I sometimes carry more than one ball as well, and could even use different coloured glass. Marbles. These will also produce refraction, weigh less, and are much smaller. You’ll need a macro lens to get anywhere with these. ND 1000 filter. 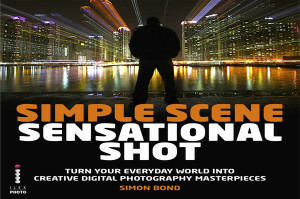 Great for any long exposure work, everyone loves to do daytime long exposure. I’ll look to feature the use of filters in an upcoming blog. If you want to do some interesting things with water this filter is a must. IR filter. A more extreme version of the ND1000 in someways, in that this let’s you take super long exposures. It’ll also turn your tree leaves white, with a little white balance correction either in camera or during post processing. Fairy lights. You’ll need the battery operated version if you want to take them out on a trip. If you string them together at one end you can make a clump of them together. This is what I use to create light orbs, see how to do it in my video tutorial. 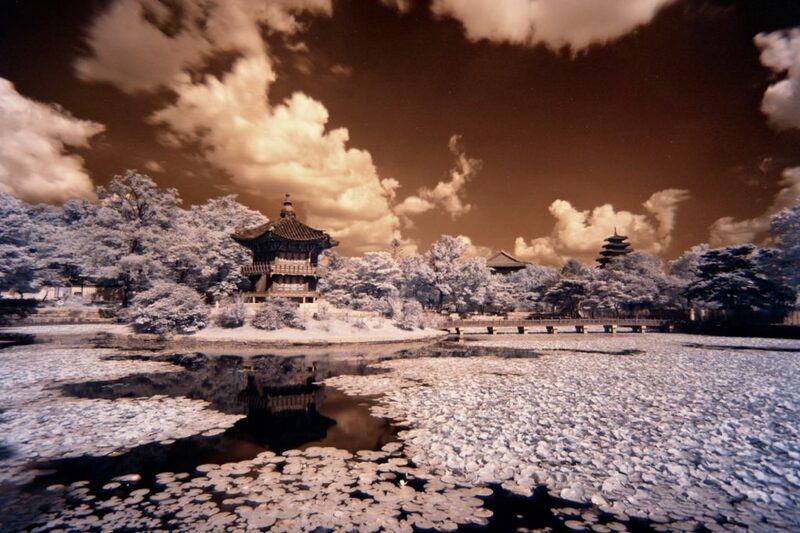 Using an infra red filter with your camera can give landscape photos a dramatically different feel. A torch. 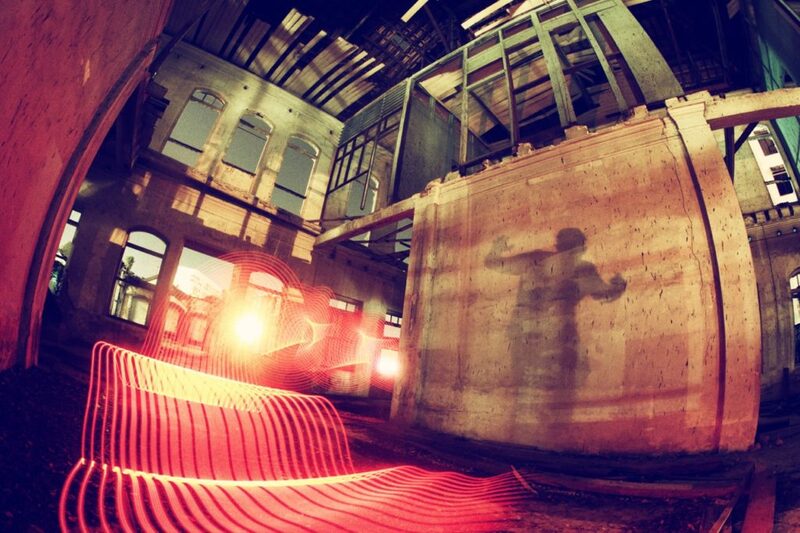 To be used for any light painting you might wish to do, get creative! Wire wool kit. Ok so you need light painting with added danger? Look no further, but just don’t burn down the town/house or anything else! Except that is with an amazing photo. You’ll need a whisk, a dog lead, a lighter and fine grade 0000 wire wool. You may well also need protective goggles, and water to put out any fires. Strobe with radio trigger and receiver. Using off camera flash to put the light where you want it to be gives you a lot of creative muscle. Mainly used for portraits, but could also be used for food or as a way of lighting up a selected area of a landscape photo. Colour gels. Any of the light painting ideas above, or the strobe, could be enhanced by using different colours. To do this put a gel on the front of your light source, and play! In this photo a strobe with a colour gel was used to project the shadow onto a wall. The remainder of the photo used light painting equipment to create the red ribbon of energy. So that’s what goes into my creative travel photography camera bag. The trade off is the quality of lens you have, but those lenses will allow you to cover most bases for any travel related shot anyway (kit lens and 70-300mm covering you focal length). The ability to transform your scene in camera with the minimal use of post processing will give you plenty of eye catching photos. So why not try the creative bag? Now of course this is not THE definitive guide for what to carry, if you’re just planning to do refraction photos then leave the other gear behind. Equally I may well use some of the gear, in particular my favourite 17-40mm f4 lens in place of the zoom lens. 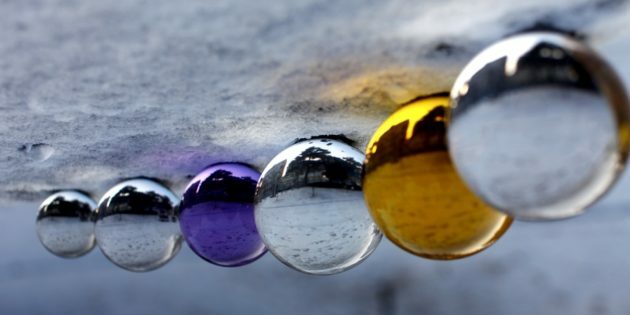 Marbles can make a great alternative to a larger glass ball, and it’s much easier to fit them in a gap of a fence.